Suresh Prabhu-led Indian Railways is doing something unique to celebrate the upcoming Independence Day. The Railway Board has taken a decision to put the national flag on all locomotives of the Indian Railways! Soon, all engines of the railways and even coaches will have the national flag proudly showcased on them. Talking about initiative, Anil Saxena, the Additional Director General Public Relations, told FE Online, “Indian Railways is the lifeline of the nation. It is the engine of growth for the Indian economy. That is why we decided that on the occasion of August 15, we should make sure that all locomotives of the Indian Railways should have the national flag on them.” “A mini-India travels in each train of the Railways, from Kashmir to Kanyakumari,” he added. Asked about how many engines will have the flag, he said, “There are over 10,000 engines and this activity of putting the flag on them will continue over a fortnight.” All divisions of the Indian Railways are participating in this activity. Northern Railway and South East Central Railway have already put the trilcolour on their division’s locomotives. 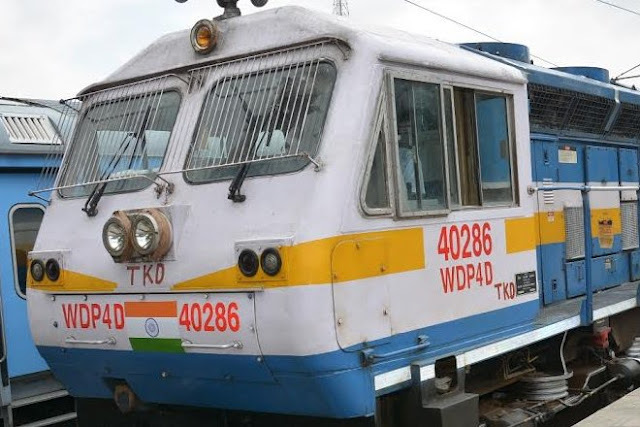 “We have a total of 70 locomotives, 30 electric and 40 diesel, and till August 15, the tricolour would be put on each one of them,” Himanshu Jain the CPRO of South East Central Railway told FE Online. Northern Railways on its part has put stickers of the national flag on the engines. “All our locos and soon coaches will have our national flag. We are proud Indians.JAI HIND.